It's a brand new year, and what's better than giving your home a huge overhaul ready for the year ahead. We bought our home over five years ago, and we're planning on giving our home a few big changes this year. There's a mix of small and large projects to be done and I'm so excited. Giving your home an overhaul can freshen up your home, modernise it, make it to your taste so it feels more like home and if you are thinking of moving, it may help add some extra value to your home too. The bathroom may not seem like a room many people would think of changing, but it's the most used room in the whole house and is used on a daily basis. A bathroom should feel welcoming and warm. Especially for those stressful nights, you want to take a hot bath/shower and just relax. Tiles - Changing tiles can make a big difference to your bathroom. If you have a small/medium sized bathroom it may be a good idea to go towards some lighter coloured walls and tiles, to make the room feel that extra big bigger. But don't feel too scared to go out of your comfort zone and choose some bold unusual shades/tiles. If you're on a budget, you can now buy some tile paint, that will still change your bathroom dramatically. Bath/Toilet/Sink - If your bath/shower, toilet or/and sink are looking tired, replacing them will make a huge difference. SGS Engineering have some tools that may help with replacing or repairing any bath, sinks and toilets. Also, while you are replacing them, you could look in for advice on how to give your bathroom extra space and storage. Bedrooms should be de-cluttered and feel like a room we can relax in. Having too much clutter in a bedroom won't make you feel relaxed, that's why it's important to make sure you have enough storage space in your bedrooms. Not only that but to make sure your room feels comfortable and a place you can have a good nights sleep in too. It should be a room you can show your personality with furniture, accessories and paint/wallpaper. Wall paint - Giving your bedroom walls a new lick of paint can change a bedroom massively. Paint over time can look dull and may even get a few chips if it's touched on a daily basis by walking past and touching. As said above, the bedroom should be a room that you throw your personality in, but also be a room you can feel relaxed in too. Upcycling furniture - Not everything needs to be bought brand new. Before changing or throwing away items, think first if they could be upcycled. 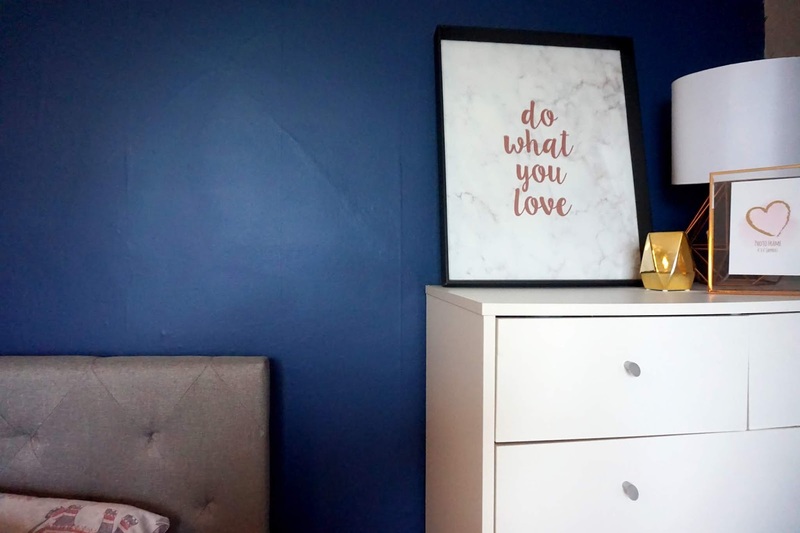 Whether it's giving the bedside table a good lick of paint, adding new legs on the dressing table or paint spraying the mirror frame. There are so many things you can upcycle in a room to modernise it and get used out of it for years again. Lighting and accessories - Adding some new lighting and accessories to your room will give your bedroom a huge makeover. Whether it's adding a new mirror, wall prints/frames, lampshades or adding a tall floor lampshade to your room. The kitchen is the heart of the home and is also another room you need to show your personality. A kitchen can be quite pricey to transform, but you can do it on a budget if you work on a few touches up. There are so many things you can to give your kitchen a great overhaul. Worktops - The kitchen worktops are the main thing to change in the kitchen if you're looking to give your kitchen a makeover. The worktops should be chosen carefully as they can be pretty expensive, but if you look around you may be able to buy some within your budget. Tiles and walls - Again, the same as the bedroom, giving your walls a good lick of paint can modernise and freshen up the room. Ideally, you will get the tiles, walls and cupboards in theme with the worktops of the kitchen. Kitchen cupboards - Be sure that you have enough kitchen storage to have less clutter on your worktops. Kitchen cupboards can be easily changed by either re-painting or replacing them completely. If you're not wanting to replace them, you could change the door handle to match another accessory in the kitchen such as your worktops or little accessories around the kitchen. The family room will be one of the most used rooms, especially if you have children. It should be a room to show your personality with colours, photos and accessories. It should be a room you can relax in at the end of the day once the kids are in bed, but also a room where there's enough space for the kids to play. Walls - Give your walls a good fresh up by painting them or re-wallpapering. It may be a good idea to choose a feature wall, to catch an eye. Feature walls are great for making a room feel even cosier. Add accessories - Adding accessories into a room will make changes to your family room. Adding family photos, wall prints or canvases. Every little detail brings personality and a change in the room. Sideboard - I personally think a sideboard looks great in family rooms. It makes a huge difference to a room, but not only that, it helps de-clutter the room too. It gives you more storage to keep toys away, or letters, papers or anything else you need to hide away.